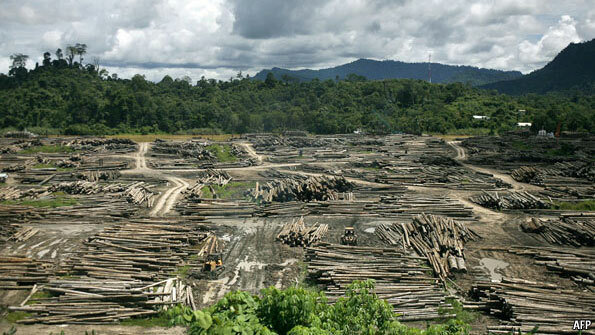 Suara Sarawak: Zero Logging – Why Not? A decade ago the concept of zero logging would have been treated as inconceivable by Malaysia’s ruling establishment, who rounded on concerned observers and the opposition for suggesting that the destruction must stop. But now a growing number of voices are beginning to support the prospect of a moratorium on logging, in order to try and save what is left of Malaysia’s once world class forests and to re-grow them. After all, this would provide a sustainable industry for future generations, rather than the wasteland that is being currently created. This year’s appalling floods in Kelantan have provided a wake-up call for many. Previously, the world’s worst ever log jam along the Rajang River in 2010 had laid international shame at Sarawak’s door, with the shocking extent of the secretive timber pillage in that state at last exposed to all. Sarawak Report has painstakingly detailed the driving motivation behind Sarawak’s excessive logging, which is the corrupted self-enrichment of the politicians who have sanctioned it. In Sabah the story is no different and now fingers are being pointed in the same direction in West Malaysia also. The problem is focused on the secretive disposal of logging concessions to political and business cronies at the total whim of the politicians entrusted with the administration of the state. 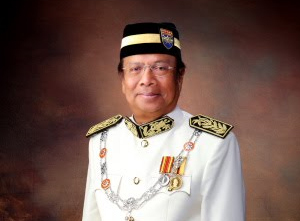 In Sarawak there has been an excessive accumulation of power in the hands of one corrupt man. Kickbacks, nominees and party ‘donations’ are the hidden currency of these concession deals, creating enormous wealth for politicians and their business partners and cutting out the Rakyat completely. Logging in Sarawak has made virtually no money for the state: it has created virtually no jobs for locals. It has merely enriched a handful of people and poured money into the ruling parties, so that they can continue their grip on the Sarawak cash cow. If the logging stopped tomorrow in Sarawak, therefore, the impact on the people would be minimal. It would be nothing that could not be mitigated by a fairer disposal of some of the wealth that is being sucked out of the state’s other natural resources, such as its oil which has been taken by West Malaysia for the last 50 years. 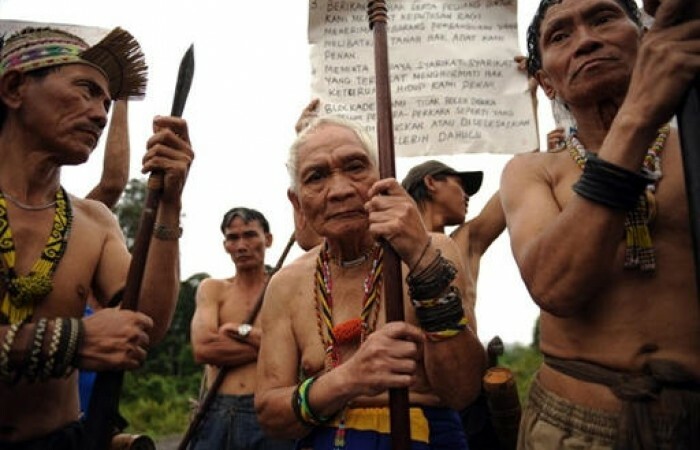 A restitution of the billions that have been stolen as a result of logging kickbacks would also provide a handy source of income during any transition period towards a more sustainable management of Sarwak’s forestry on behalf of its people, rather than a handful of billionaire oppressors. After all, Sarawak is a large, rich state with a tiny population. Sarawak Report is no longer a lone voice in these matters, as the daily news is making clear. And the latest traditionalist who has started to speak out for a change of policy is Dr Mahathir. Just last week in an exclusive interview with this blog the former PM, who is without doubt Malaysia’s most influential leader since independence, confirmed that he also believes that enough is enough when it comes to logging. “Excess cutting is something I am not for and am very much against. Whether it is legal or illegal I think even the legal logging should be reduced, because while it may be ‘legal’ it is destroying the environment”, he told Sarawak Report. The former Prime Minister was making this point within days of a trade visit by his once close political ally, Governor Taib Mahmud, to India, where Taib boasted to his hosts that Sarawak is still the largest single exporter of tropical hardwood in the world and urged for more business. “Until they have found other sources of income they are entitled to export some of the hardwood, but of course we want them to be very careful about how much of the forest they should cut” he confirmed. The former PM will be criticised by many as a ‘Johnny come lately’ after years of condoning Taib’s timber corruption and he will also be attacked for speaking like the opposition. However, he is joined in his change of heart by a growing swathe of the establishment. As the floods roared round Kelantan in West Malaysia a Federal Minister from the Prime Minister’s own office,Shahidan Kassim also last week proposed a ten year moratorium on logging in order to try and sort out the environmental disaster in that region. And even Sarawak’s new Chief Minister himself has now frequently acknowledged the problem, despite also being a close adherent to Taib. Adenan Satem has already made moves to show that he is ready to clamp down on the so-called illegal logging, but this week has made similar noises about stopping so-called legal concessions as well. All those familiar with the problems of logging in Sarawak know that chasing after a few illegal loggers is mere gesture politics, given the vast destruction being waged by the big six BN crony companies Shin Yang, Samling, Ta Ann, WTK, KTS and Rimbunan Hijau. 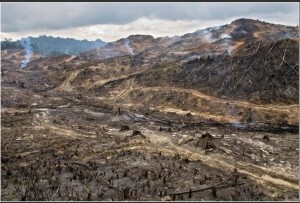 These have all evolved into major international logging giants, thanks to their exploitation of Sarawak and they are now exporting their corrupted practices world wide to the detriment of the whole planet. They need to be brought under control and all their licences terminated. Likewise, the corrupted politicians who have taken concessions and contracts should be sacked, not asked merely to sign pledges! Has Satem really got the strength to carry out these further steps, when his former boss still controls the state economy through his own companies and when an election is looming? After all, BN traditionally looks for huge subsidies from the timber barons to pay the millions in bribes generally handed out in state elections. Politicians of course tend to say one thing and do another. Taib withdrew timber concessions in 1987 in order to hand them to closer allies to consolidate his power and wealth. Is this Adenan’s game? To prove it is not this Chief Minister must change the model right now for the timber trade. Sarawak should stop selling off its valuable timber cheap as matchsticks, just so that a handful of businessmen and politicians can make a quick fortune and buy a new life abroad. It should stop hiring in thousands of foreign workers to do the job cheap. The whole industry should be transformed, so that it produces the most money and benefit possible for the people and the least possible destruction. All it takes is an honest and transparent administration of open tenders, consultations and public accounts. No more transfer pricing in Singapore, so that the timber company declares a loss in Sarawak and avoids even tax! As for Adenan’s much proclaimed ‘integrity’ pledges, let’s see actions on top of words! All those politicians, whose wives, brothers and children are sitting on top of hefty timber concessions and companies with huge state contracts should resign immediately and hand the money back. Read Sarawak Report and challenge these characters to abide by their pledges. The forests are Borneo’s greatest glory and the treasure trove for its people. Politicians know what they should do. Adenan is admitting to all the failings of the past by acknowledging the truth of our criticisms over logging and corruption and calling for these reforms. So, it is time for them to put their duty before their greed with actions not just words or to step aside for others to clean up the mess. Then they can once more properly open their country to visitors, instead of hiding from tourists because of their dirty secret destruction of the state.